HIGHLIGHT: used to produce a youthful radiance when applied to depressed surfaces, such as where smile lines occur, giving the illusion of a smooth, even surface. 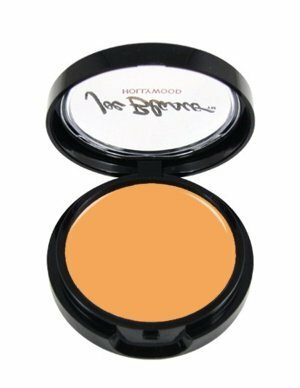 Highlighting is also used to accentuate areas such as the cheekbones, the under-brow bone, and the temples. The Special Yellow and Orange Highlights are available in cream, pressed powder, and stick forms. A variety of highlights are available for equalizing different colors: Special Yellow to conceal redness, Orange, X-tra Light, and Darkskin Highlight to conceal blueness, and Pink to conceal brown or gray-brown discolorations and shadows.